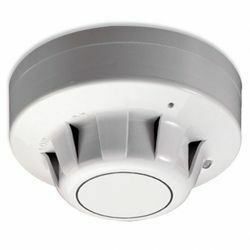 The Apollo 55000-317APO is an optical smoke detector from the Series 65 range of conventional fire alarm detectors. This detector is suitable for use with most modern conventional fire alarm systems and has a range of base options also available. The Apollo 55000-317APO is suitable for use within buildings throughout the UK and has LPCB approvals. This device features an LED indicator which illuminates once the detector has been activated. This feature allows the building occupants to easily find the detector within the buidling that has been activated. If you’re interested in the Apollo 55000-317APO you may also be interested in our Apollo 55000-600 and Apollo 55100-908 devices.